After seven grueling years of captivity in the Garden—a burlesque troupe of slave girls—sixteen-year-old Rose finds an opportunity to escape during a performance for the emperor. But the hostage she randomly chose from the crowd to aid her isn’t one of the emperor’s men—not anymore. He’s the former heir to the throne, who is now leading a rebellion against it. Rayce is a wanted man and dangerously charismatic, the worst person for Rose to get involved with, no matter what his smile promises. But he assumes Rose’s attempt to take him hostage is part of a plot to crush the rebellion, so he takes her ashis hostage. 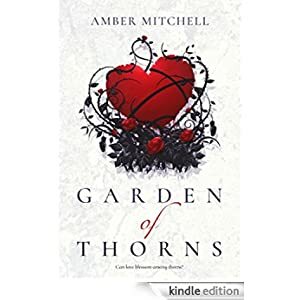 Now Rose must prove where her loyalties lie, and she offers Rayce a deal—if he helps her rescue the other girls, she’ll tell him all the Garden’s secrets. Except the one secret she’s kept for seven years that she’ll to take to her grave if she must. This fantasy is for teens and is selling for only 99 cents today.